Norm and Ruth Ann inform us there are 2,085 Pioneers members in 103 countries with 54% of them focused on reaching Muslims. Pray for these workers and for the 100+ new ones expected to be sent out this year. 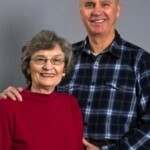 Pray for Norm in his leadership responsibilities for Pioneers-US and for wisdom as Ruth Ann interacts with field workers in Europe in various stages of life and ministry transition. Mike Kuhn returns to the Middle East today to continue his work with biblical and theological training of Arab speaking church leaders from North Africa and the Middle East. Pray for safe travel and smooth transition back into life there. Herb shares that Mr Same Same Bagar, a patient who considered Heather like his mother, suddenly picked up an acute respiratory ailment on a short visit to his family and died. It was a shock to the entire Annoor team. It was a vibrant reminder of how precious each patient is and why Annoor is committed to treating the whole person not just the visible disease. Pray for the staff as they love and share their faith while treating diseases. 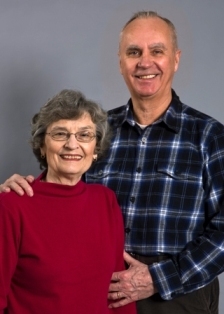 Jim and Sally Foote ask prayer for a pastor for Holy Trinity Church in Tyumen, for qualified elders to be elected at the annual meeting, and for the revitalized children’s ministry to thrive. Pray also for the non-attenders amongst their small congregation, that the Lord will work in their hearts and lives to bring them back into the fold. Pray for Roger and Abi Lowther as they have completed their first music video so other churches in Japan can watch online and begin to use their songs, catch the vision, and write their own. They hope these new songs will be sung simultaneously in pubic venues and private homes. Pray the unity and power of a gospel movement through music will come to Japan as never before. Continue to lift up Rob Futo as he begins to meet with people about a future church plant. Pray for healing of Csenge’s torn ligament and for Hajni as she tests for high school placement. Pray For Tunde as she leads a women’s study and prayer group, which is a new endeavor for her. Pray for encouragement for the Futos and for peace to reign in their hearts and lives. 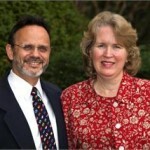 Pray for the Youngs as they work through seasons of grief with family and co-workers. Fozia’s brother Mustaali died unexpectedly in the US. Then their driver Munna revealed his father has a short time to live and only a miracle can save him. Pray the team will be able to implement plans outlined in their strategy meeting, and that the Youngs will be salt and light to their landlord and neighbors. Dan Burns, Larry Jensen, Rob Carson and Jason Rauls leave tomorrow to attend a conference in Malta to learn about the work of our partners in North Africa. Following that, they will visit field partners in the Middle East. Pray that they will understand how to more effectively partner with national leaders, and how to fully support the work our missionaries are engaged in. John and Dawn are thankful for a God who stands at their side each and every day giving wisdom and grace in difficult decisions, safety across many miles, and the right words at the right time to soothe fragile hearts and calm quiet fears. Pray for them as they follow the path God has set before them as they serve Pioneers, and look forward to welcoming their first grandchild later this month. 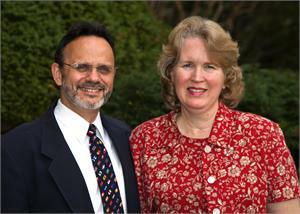 George and Anne Harper, who teach at the Asia Graduate School of Theology in the Philippines, ask prayer for more qualified students, funding, and wisdom and discernment as they teach and counsel graduate students. Anne is busy speaking in churches and doing seminars to promote her book on understanding Iglesia ni Cristo. Pray it will stir the Philippine church to reach out in love to members of this group.